CHARLESTON – Velma Joanne Spence, 84, of Charleston, went to her Heavenly home Saturday, November 10, 2018 at SBLHC. Her memorial service will be held at 1:30 p.m. Saturday, November 17, 2018 at the Harper-Swickard Funeral Home with Pastor Sharon Patton officiating. Inurnment will follow in Roselawn Cemetery, Charleston. Urn bearers will be her grandsons: Spencer, Josh, Zeke, Caleb, Travis, Zac, and Wade. Visitation will begin at 12:00 p.m. Saturday at the funeral home. 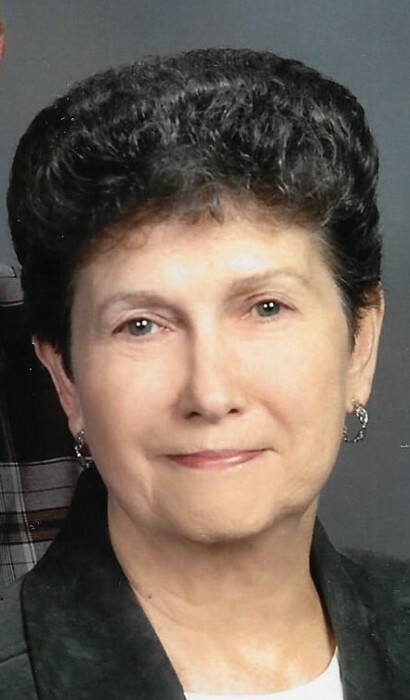 Memorials in her honor may be given to Old State Road Christian Church (Disciples of Christ). Velma was born March 30, 1934 in Johnstown, IL, daughter of Charles E. and Clara E. (Starwalt) Jenkins. She married Donald E. Spence, June 10, 1951 at the Lerna Methodist Church; he survives. Also surviving are their children: Debra Creech of SC, Mark (Kathy) Spence of Charleston, Donald “D.B.” (Marsha) Spence of Mattoon, and Dan (Patty) Spence of Charleston; Grandchildren: Spencer Wilcox, Josh Wilcox, Michelle Sanders, Holly Misener, Emily Phipps, Zeke Spence, Caleb Spence, Jamie Forsythe, Lisa McKelvey, Heather Drake, Travis Spence, Zac Trelz, Madison Bays, and Wade Spence. 28 great-grandchildren and two sisters: Jessie Snyder and Hilda Alms also survive. She was preceded in death by a brother: Virgil Jenkins, and a son-in-law: Bobby Creech. Velma was a longtime member and organist at the Bushton Christian Church, and in more recent years, her church home has been the Old State Road Christian Church. Velma had worked for many years as the Ladies’ Page Editor at the Charleston Times-Courier.